Engine hours are unknown. Records were kept the first 5-6 years but have since just maintained a regular seasonal maintenance schedule. 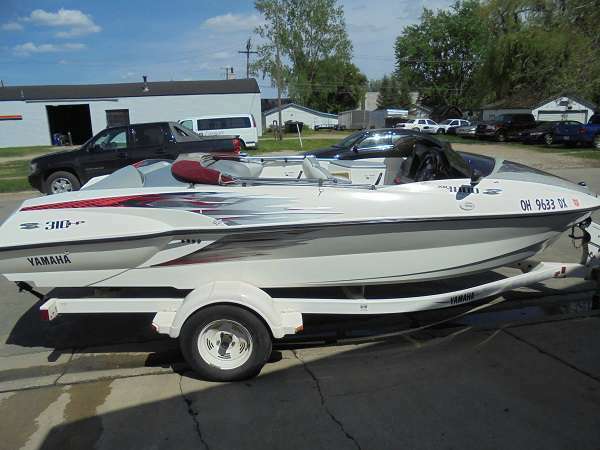 There is no hour meter, but the seller says this boat runs like a champ! This beauty has been well maintained, and the only known issues are the horn is not working and the CD stereo recently stopped working. New tachometers and speedometer, New Intake plugs with included custom tools and spare parts. 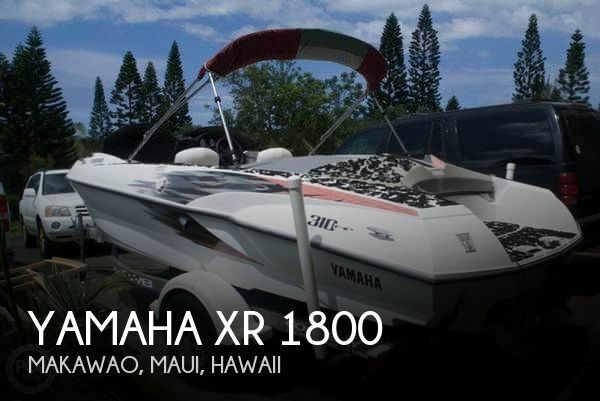 Stock #140161 Yamaha XR1800 Jet boat with 310HP Engine ... One of the Fastest Boats in the Islands! Reason for selling is don't use it enough. need the driveway space!. 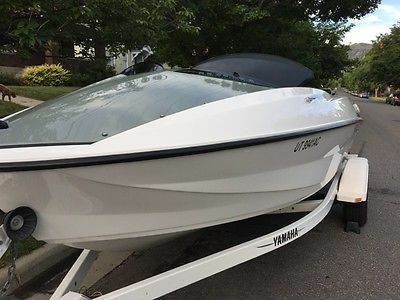 2001 Yamaha XR1800 Limited Edition 2001 Yamaha XR 1800 Dual Engine Jet Boat. 310 HP. 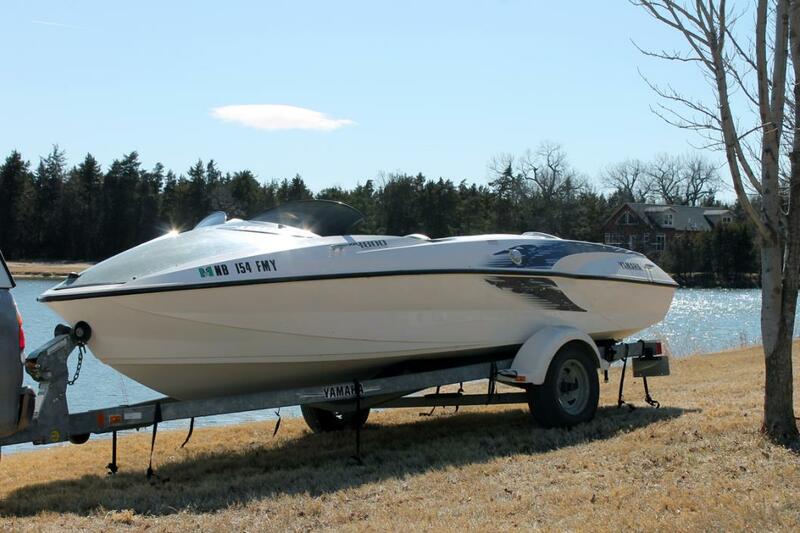 This speed boat is 17' 7" long and 7' 8" wide with a single axle galvanized trailer. It has been well taken care of and is in great shape. Top speed is 55-60mph. Each engine is 155hp / 1176 CCs equipped with stainless steel impellers. It has bucket seats for driver and passenger and bench seating for a total capacity of 5 persons/1,100 pounds. boat cover included.As a Camp and Retreat Center, this boat has too much engine for our current needs and is too fast for our lake onsite. 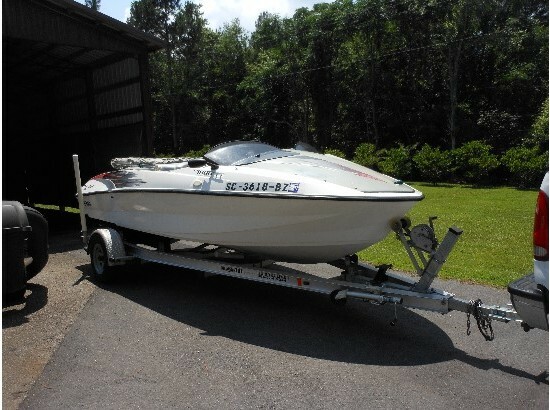 We would like to sell this boat so we can buy something more practical.May be interested in trading for a ski boat w 4-cylinder Mercruiser. 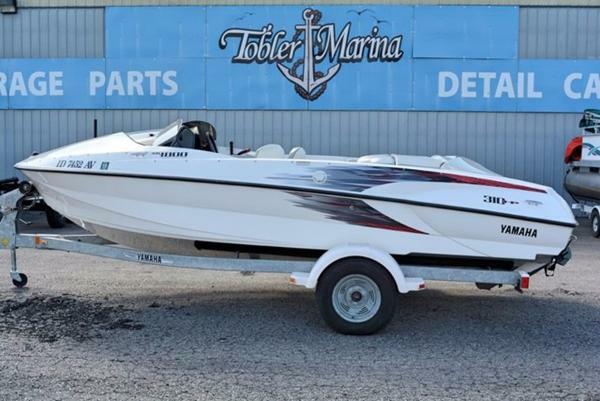 2001 Yamaha XR1800 wpainted trailer The five-person, 310-horsepower Yamaha XR1800 sport boat is the most powerful sport boat in the industry. 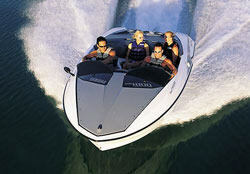 The XR1800 is designed for the serious boater demanding world-class performance and styling in a recreational runabout. 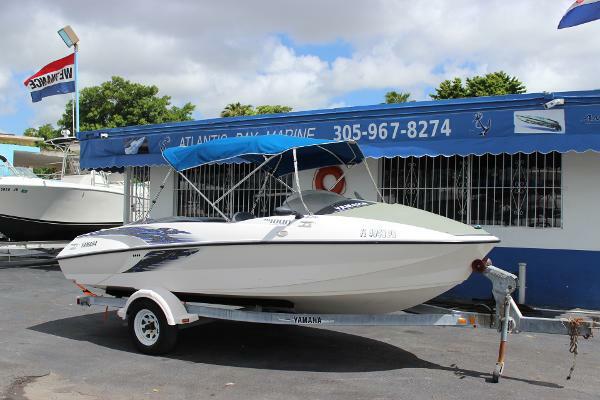 The XR1800 features two ultra-performance Yamaha marine engines that incorporate the most reliable exhaust emission and noise reduction systems in the industry. The engines are complimented by a high-performance hull design that delivers precise handling and exacting control. Also, its twin-engine design gives the XR1800 excellent "return to port" capability and its twin intake grates under the hull ensure that XR1800 hooks-up in all water conditions. The XR1800 comes with a long list of features that include full instrumentation, comfortable swivel seats, easy access jet pump clean-out ports and a high-quality trailer. 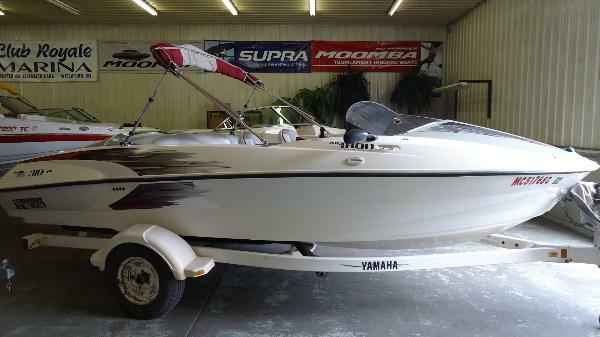 - Very nice closed bow 5 person boat. Will pull skiiers and tubers very well.